Leave a Comment on Chapman Expansion: How Big is Too Big? Hannah Schmidt dashes down a flights of stairs, out of Davis Residence Hall and onto campus, stopping along the way to wish the crossing guard a good day. The senior health science major speed walks past the pool, waving to one of her friends returning from class and stops briefly to hug a sorority sister. Schmidt smiles at the familiar faces that she sees on her way to her class in Beckman Hall. When she finally sags down in her seat, she is the tenth to arrive to Medical Ethics. Waiting on the last couple stragglers, Schmidt’s professor asks how her weekend was and they launch into a discussion about wait times at Disneyland. “The thing that brought me to Chapman was that I would know people walking to my classes. The size right now is perfect as it is,” Schmidt said. But is that experience at risk as a result of Chapman’s recent and continuing expansions? The university received a serious facelift in just the past year with the addition of the Keck Center of Science and Engineering and the Chapman Grand apartments. Chapman also plans to add the Fowler School of Engineering by 2020, which paves the way for a larger undergraduate class. The Chapman Grand apartments provided additional housing for about 900 students and the Villa Park Orchard Residential Community, a dorm complex being built for Dodge majors, will provide about 400 more beds when it is completed in Fall 2019. 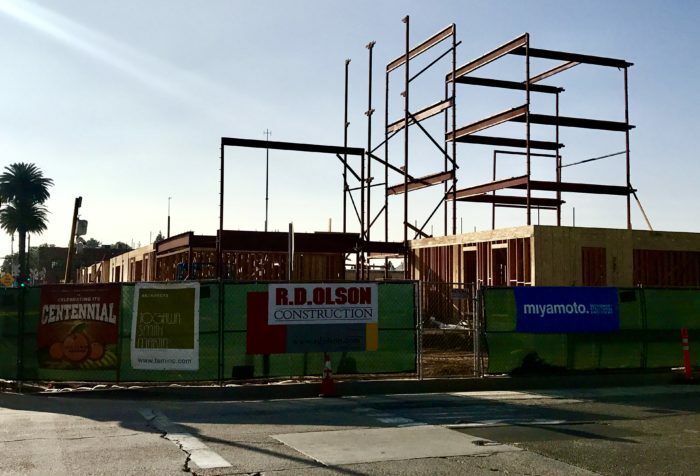 Other signs of growth include plans to move the dance center to the VPO Packing House, expansions to the Rinker Campus in Irvine, and the addition of another residential community next to Panther Village. “Our goal is to reach a steady state of 10,500 students. Right now we have 8,500, if we were to cap it at 10,500 I think we will still maintain this spirit of a small university,” said Daniele Struppa, president of the university. This head count includes both undergraduate and graduate students. 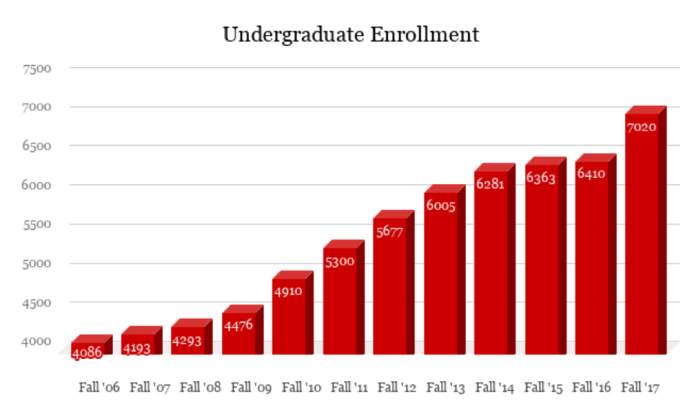 Chapman’s undergraduate enrollment numbers have been slowly increasing until Fall 2017 where there was a large spike. Data from Chapman Institutional Research Office. Graph by Kathryn Bernhardt. There was no algorithm for determining the 10,500 cap, said Struppa, explaining that he came up with the number himself, based on the university’s desire to fill the engineering program, while remaining mindful of concerns about too much growth. But, 10,500 is not a hard boundary and could be changed by later presidents. That being said, 2,000 more students – even if incorporated over time – will still change the university. The fall 2017 freshman class saw 1,696 students enroll, up from 1,426 in 2015. More than 1,600 students were again in enrolled in the fall 2018 freshman class. “Everything has to be done very slowly because when we add more students we need to add more faculty, but we can’t hire 100 faculty altogether. I would say 10 years would be a reasonable horizon” to reach the 10,500 target, Struppa said. Many students don’t have a problem with more growth, as long as it’s not excessive. “A little bigger is fine. A few more buildings sounds great, but not big enough that it’ll take 20 minutes to walk from one side of campus to another,” said undeclared sophomore Rachael Norum. Others have seen how much Chapman has grown and want it to continue expanding. 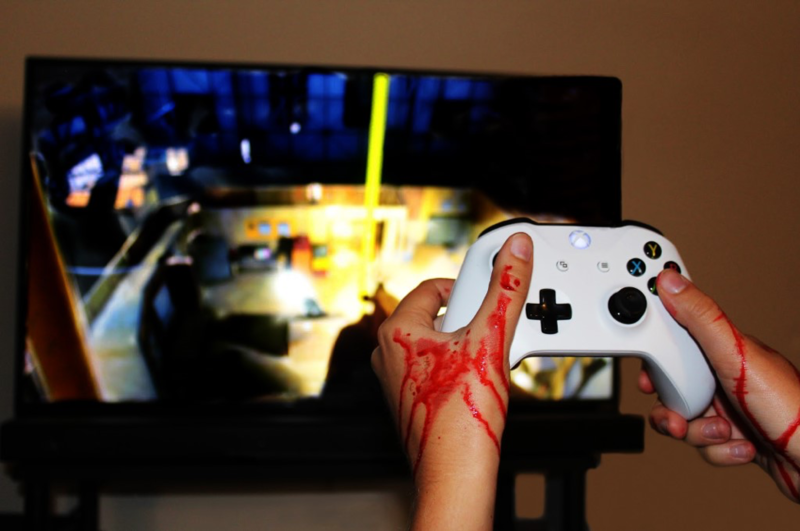 “I love the expansion. I like how much they’ve grown. My cousin went here a while back and when I came to her graduation I didn’t really like it, but then I toured before freshman year and I saw so much development and change,” said Nathan Seidman, a sophomore business major. Senior Hannah Schmidt has watched the campus morph and expand during her own tenure at Chapman. “Musco wasn’t built when I first came here. There was no actual building; there was still a hole in the ground. Keck was still a parking lot,” Schmidt said. Students have expressed appreciation for the Keck Center and Chapman Grand, but the expansions have highlighted stress that the growth has put on the students and the campus resources. Chapman Grand residents, for example, now have to commute from Anaheim, increasing the demand for parking spaces on campus. “Today I came to campus 30 minutes early. Lastinger was full. Barrera was full. West structure was almost full, but I was not about to park there and walk all the way from Dodge, so I parked on the roof of Barerra. Very last spot,” Seidman said. Parking has been a constant complaint from students – and a persistent sore spot for Orange residents. Adding new commuters from Anaheim seems to have exacerbated the issue further. But parking tensions are common for any campus in a residential area with commuting students, said Kris Olsen, Vice President of Campus Planning. Nevertheless, Olsen said the department is still working to fix it by adding more parking. “We just introduced 349  new parking spaces interconnected to the Lastinger Parking Structure. We are considering an additional new parking structure approximately five years from now,” Olsen said. Chapman Grand resident Nicole Daskas planned to take the university-provided shuttle to campus, and not drive to campus at all, but was forced to change her plans. The sophomore studio art major said the service is unreliable, late, and sometimes doesn’t show up at all. Daskas once had to Uber back to Chapman Grand after waiting 20 minutes with no other shuttle in sight. 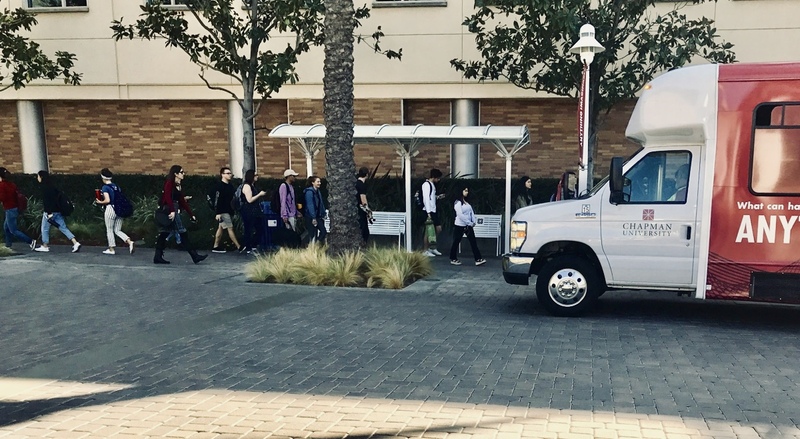 Since this is the first year Chapman Grand has been open, transportation services are still trying to figure out the optimal schedule for the shuttles, said Erin Ash, the Chapman Grand area coordinator. As a result of student complaints, eight more shuttle stops have been added to the schedule since the beginning of the year. Additional accommodations are being added to the gyms on campus in a similar fashion. Students’ satisfaction with the gym has decreased over the years, so the Student Government Association is fighting for a $1.2 million expansion to the Julianne Argyros Fitness Center. The expansion would include converting the Henley Hall basement, John Briggs Conference Room, and Doy’s Place, a snack shop that closed during the summer of 2016, into new gyms that would relieve demand on the main gym. All major universities have state of the art athletic complexes, but Chapman doesn’t have the space to make the current fitness center bigger, so this is the solution to improve the amenities. The Orange community generally opposes growth on Chapman’s campus. Last year, Mayor Tita Smith said the Keck Center was “way too big” and that she would “insist on no growth of Chapman east of Center Street”. The college considered the community when they chose to put the new student housing in Anaheim, said Struppa. “We bought Chapman Grand which has removed almost 900 students from the streets of Orange, so I think the city’s grateful for that. They want to see as small growth as possible, and that’s part of the reason I want to cap the growth at 10,500,” Struppa said. Chapman Grand, along with the Villa Park Orchard Residential Community, and another new housing structure that will be built next to Panther Village demonstrates how Chapman’s community has already begun changing with bigger enrollment sizes. Students now are not exclusively housed in nearby dorms clustered together when they get to Chapman. They are moving farther away from each other and main campus. After this year, the freshman class will be split between the dorm complex and the Villa Park Orchard Residential Community. “I like where I am now. 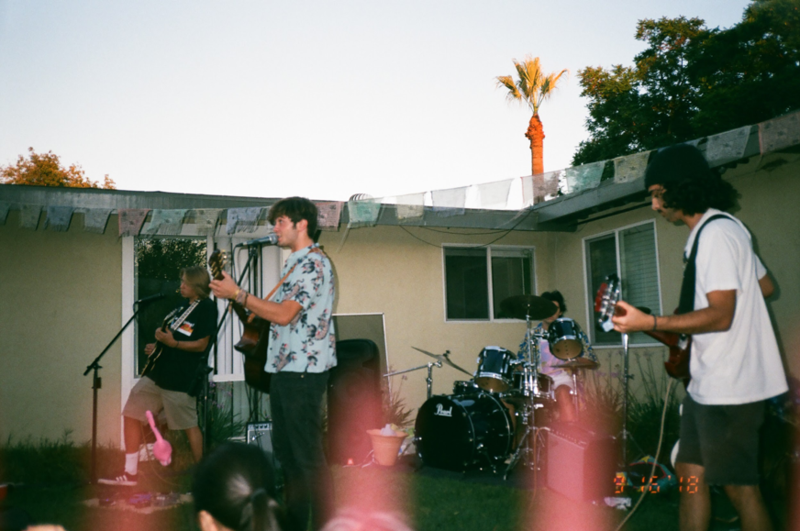 From a social perspective I like the ability to mingle and be part of the ecosystem that is the dorms,” Mitchell Tanaka, a freshman television writing and production major, said. While these changes have largely been viewed as improvements, many students don’t want to see the Chapman Experience change as the school keeps getting bigger in population. “The small feel is one of the reasons I chose Chapman. I just didn’t see myself fitting in at a larger school. If you need help from one of your professors you can actually get it and a lot of my friends at bigger schools can’t get that,” Norum said. The 14:1 student to professor ratio is one of the features for which Chapman is best known. “The Chapman Experience is grounded in that you know your professors, you see your friends on campus everyday, and you’re not just a number kind of quality. 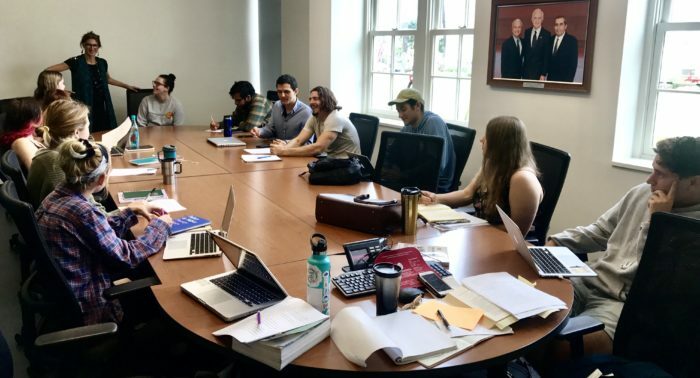 We’ve grown to the point where we have some new exciting opportunities which help contribute to our academic vibrancy so the growth in that area is good, but we don’t have to grow so much that it feels impersonal,” said Jerry Price, Dean of Students. This aspect of Chapman’s small school atmosphere is deeply appreciated by the students. “Being a twin who looks like her twin, it’s hard to differentiate between the two of us. Our professor took the time to get to know the differences, but didn’t tell us, so she just looked at me and said ‘Hannah, do you have any questions?’ I was floored that she even knew my name, let alone who I was in comparison to my sister. I started crying,” Schmidt said. President Struppa said that the expansion won’t change the student to professor ratio, but other aspects of the small school atmosphere, like work-study opportunities, are likely to be altered with more students enrolling. Seidman, who works in the Human Resources Department, said on campus jobs are not only very competitive, but difficult to find. “You can apply to 10-15 different applications online and you might hear from one to two of them. If you don’t you just have to keep applying,” Seidman said. An expansion of the student body means that students will meet with even more frustration in landing on campus and work-study jobs. Price says that student feedback is needed to fix the problem. “Every time a work-study student comes to me and says ‘I can’t get a job and I need a job’ – we get them a job. It’s just hard to sort out who wants a job and who needs a job to be able to go here,” Price said. Only time will tell if Chapman exceeds the current enrollment target of 10,500 students. Previous administrators set the enrollment maximum at 12,000, but the college has been surprised before by having more applicants enroll than it estimated. While there may not be much more room for new construction in Orange, there is already a precedent for Chapman’s growth outside of the city. 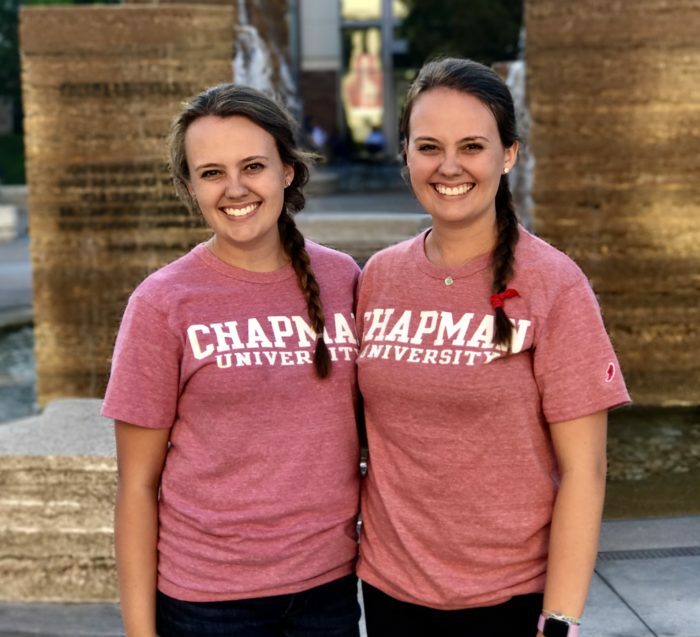 “A large size allows you to offer a variety of programs, but at the same time stretches the ability to maintain that feeling community and I think the feeling of community to us is more important, the quality of the Chapman Experience is more important than anything else,” Struppa said.